to the online resource for everything Volkswagen Polo. Find the latest worldwide Polo news, past-model flashbacks, road tests, and model spotlights here! The Volkswagen Polo has re-entered the UK’s top ten most popular cars chart, rounding out the countdown for October, according to the latest figures released by the Society of Motor Manufacturers and Traders (SMMT). A total of 2,753 Polos were registered in the UK during October, and is number sixth in the year-to-date list, with 37,106 units registered. The Polo slipped out of September’s UK most popular cars listing due to new regulation and the introduction of the new Worldwide Harmonised Light Vehicle Test Procedure (WLTP) certification. This legislation requires car manufacturers to test their complete model range to the new standards that measure fuel consumption and CO2 emissions from passenger cars, as well as their pollutant emissions. However, with UK registrations down 20 per cent in September across the board, Volkswagen wasn’t the only manufacturer affected by the new legislation. But when the Polo did last appear in the SMMT’s list for August, it was at number three in the top ten rundown. We suspect some of the WLTP supply issues are still being felt. Overall, UK registrations for October dipped 2.9 per cent compared to the same period last year, while year-to-date figures suggest a 7.2 per cent fall. The Ford Fiesta still tops the monthly and year-to-date charts, with 5,564 and 84,980 units registered respectively. Volkswagen’s evergreen Golf is fighting back, too, after it also disappeared from the top ten in September. In October it was back to second place, with 3,765 cars finding new homes. Volkswagen’s Tiguan was also a popular choice, with 3,297 registered. In South Africa, the latest sixth-generation Polo switched places with its fifth-generation Polo Vivo sibling and was the second best-selling passenger car during October 2018, with 2,824 units in new garages. The chart-topping Vivo shifted just 185 units more. In contrast with the UK, the Ford Fiesta was in seventh place, with just 888 cars registered. 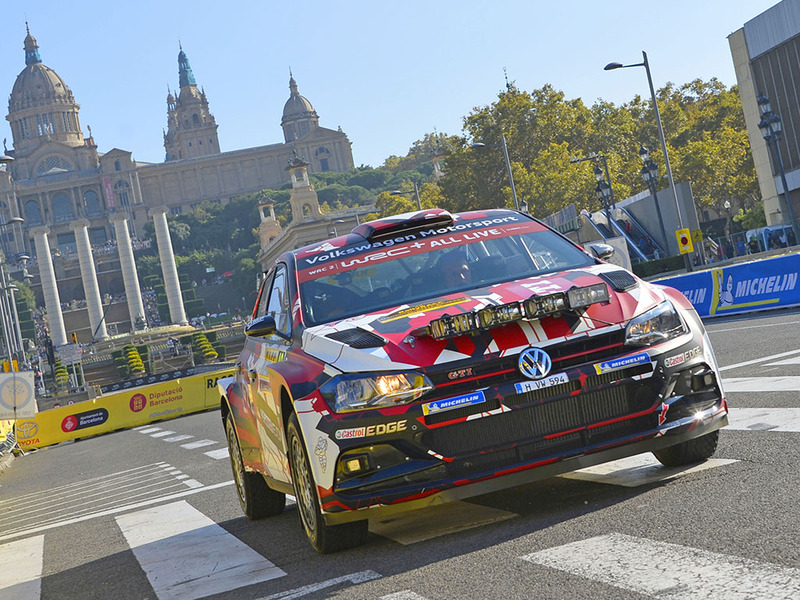 Volkswagen Motorsport described the first – and only – works outing for its new Polo GTI R5 rally car as a ‘strong debut’. 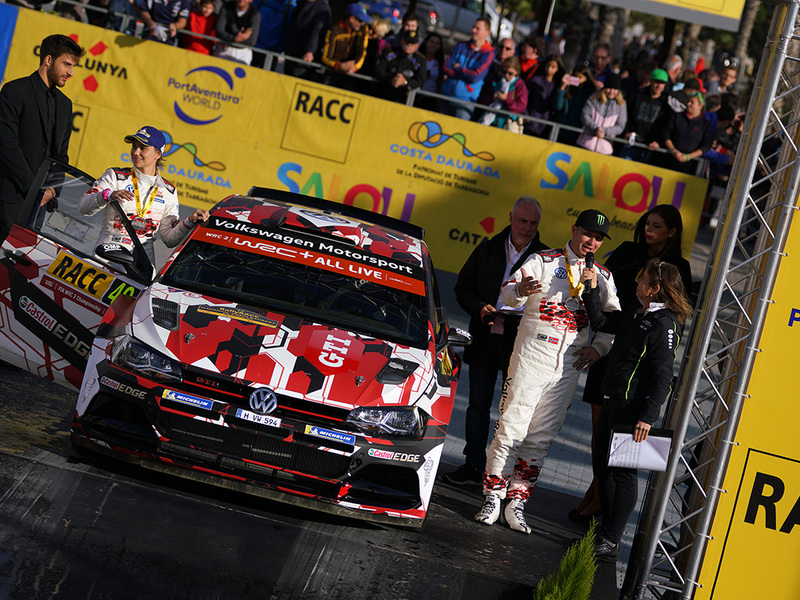 Petter Solberg took a third place podium finish at the 2018 Rally Spain, while Eric Camilli led the WRC 2 category for much of the event before a defect in the gearshift linkage dashed hopes of a Volkswagen victory. 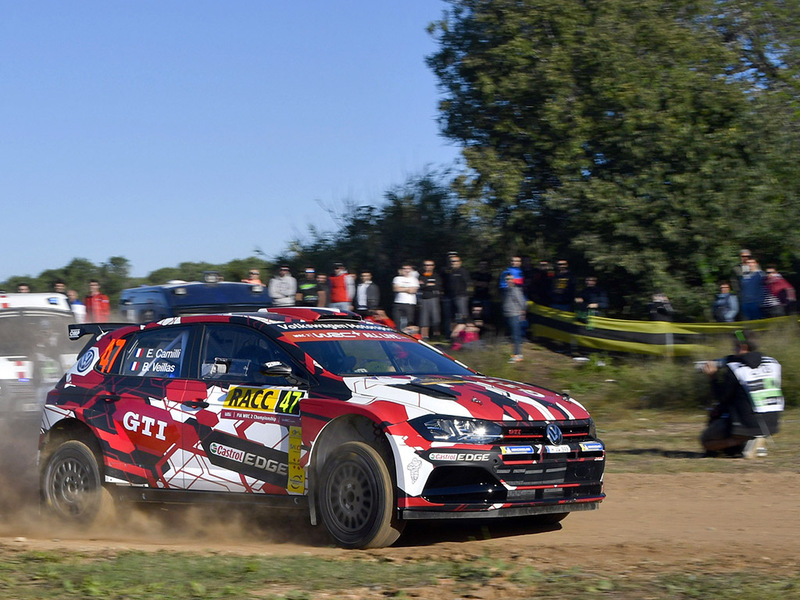 The new 270bhp four-wheel drive customer sports machine made a good impression on the Spanish gravel and tarmac event and proved it was competitive to other more long-standing rivals. 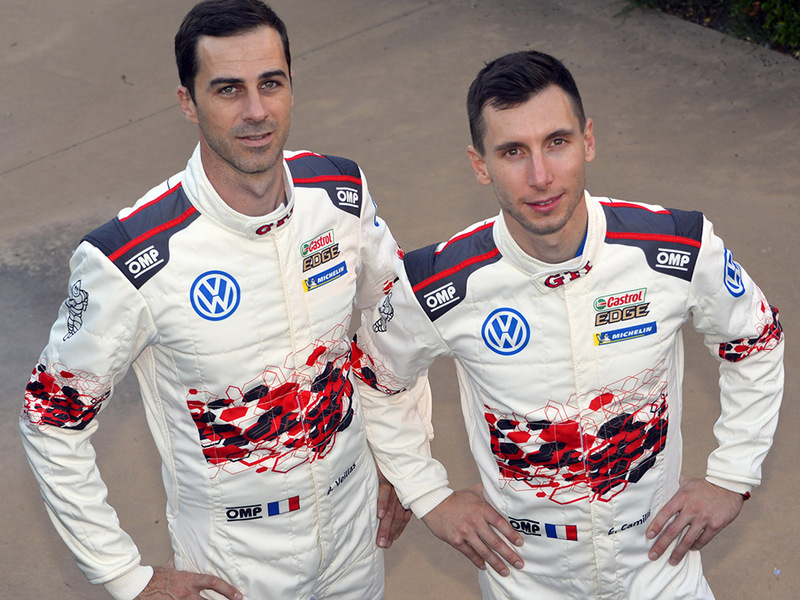 That’s good news for the eight customers who have so far placed orders for the €190,000 (tarmac-spec price) WRC 2 weapon. The first cars will be delivered to their international teams over the coming weeks. 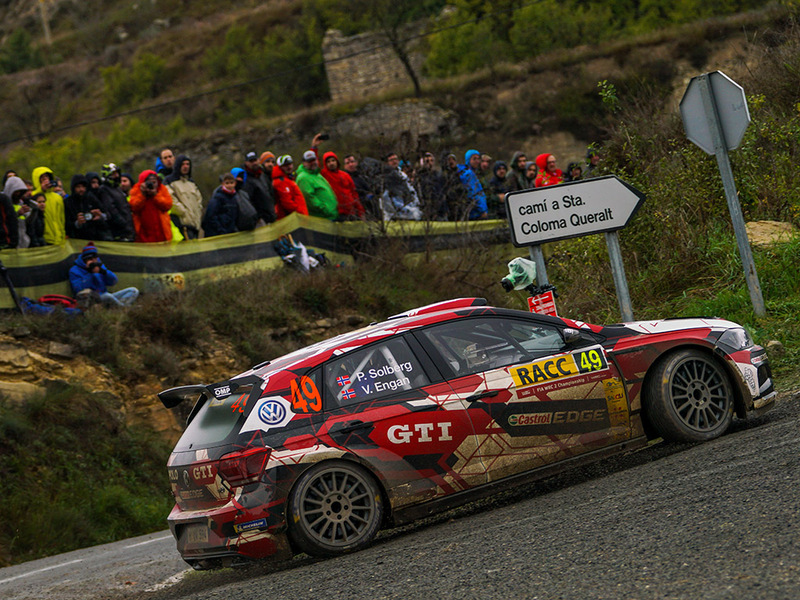 The Polo GTI R5 was impressive from the off in Spain, and scored a best time on the first special stage, a feat shared by its top-flight Polo R WRC predecessor on its debut in 2013. 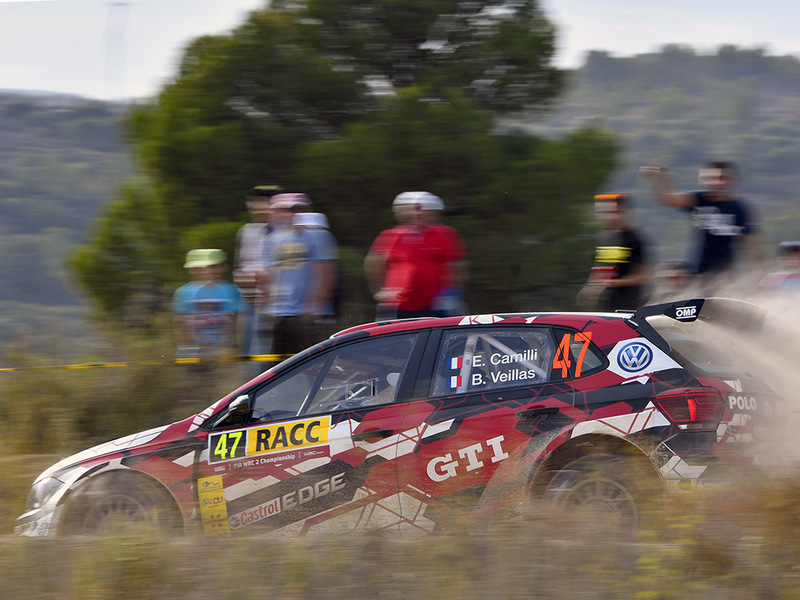 Camilli and co-driver Benjamin Veillas initially took the WRC 2 class lead, but on the second day, when the action switched to tarmac, the pair opted for a hard tyre choice and forfeited their lead, only to be chasing for it again later in the day. With just three tenths of a second between the Frenchmen and the eventual winners Kalle Rovanperä and Jonne Halttunen, a defect in the shift linkage cost Camilli and Veillas their hopes of victory. 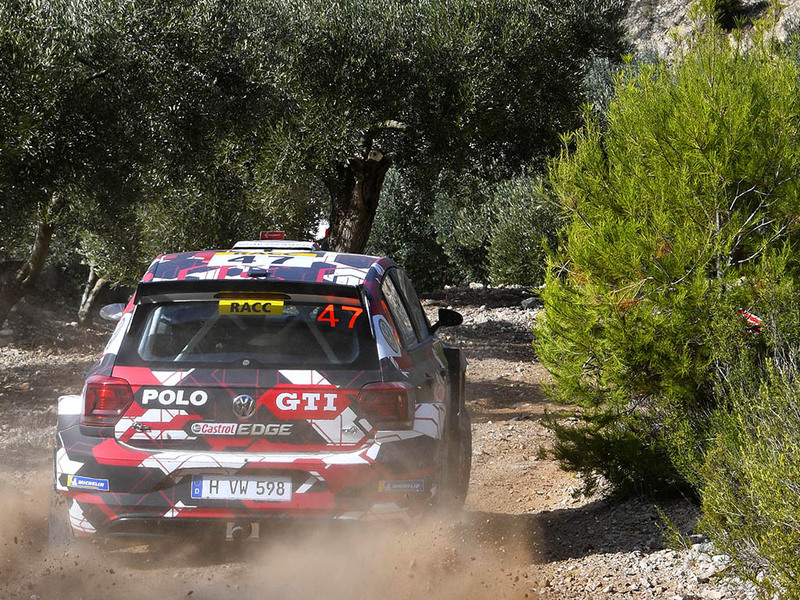 However, on their return under Rally 2 regulations on day three, the Polo pair secured more best times, including that of the special stage on the revered ‘Riudecanyes’ section. 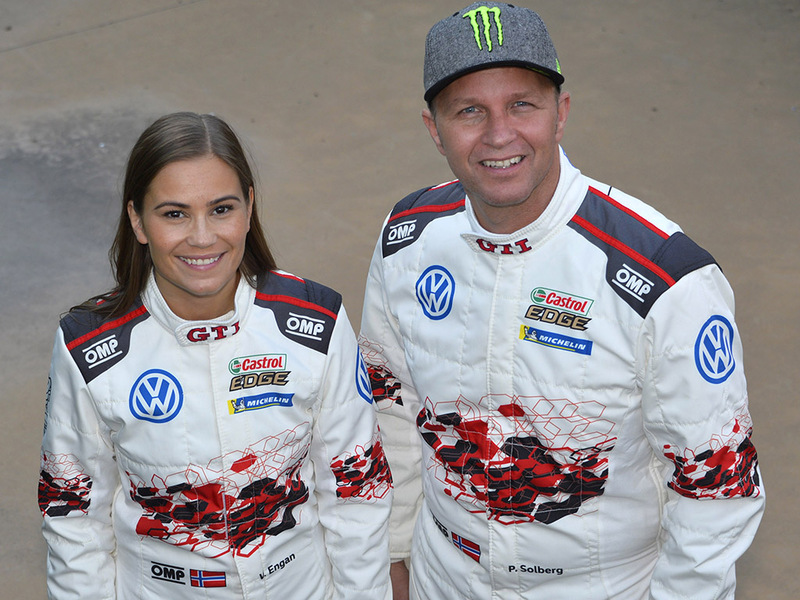 Elsewhere, in car number 49, Solberg and co-driver Veronica Engan caused a stir with the best time on the most challenging and longest gravel stage of the rally on their return to the FIA World Rally Championship (WRC) after six years away, and finished the event in a strong third position. 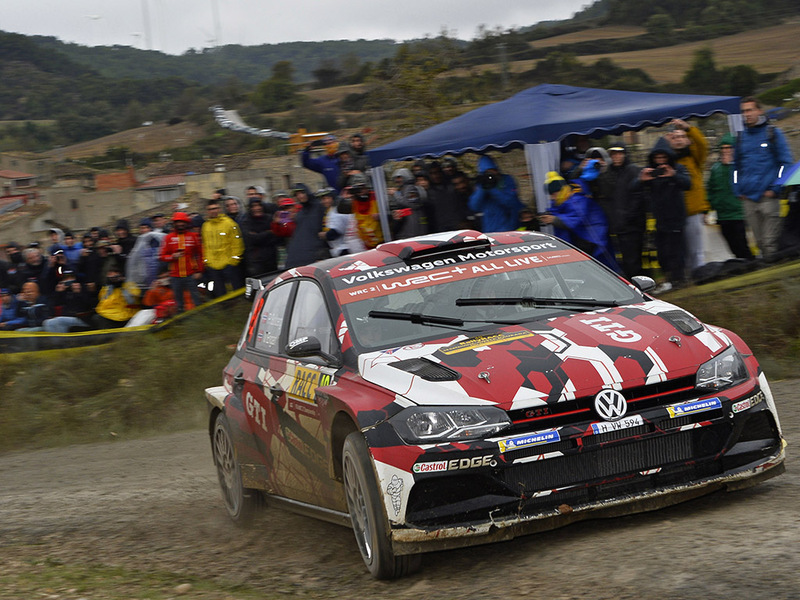 Ex-WRC champion Solberg was delighted: ‘What a fantastic result after six years away! It was not an easy task with just two days of testing and totally new pace notes. Which is why I am very proud of what Veronica and I achieved. A podium result on the debut – things couldn’t have gone much better. ‘We avoided all risks, and always looked for a clean line. With a little bit more of an attack, no doubt we could have come away with more. But the most important thing is that I had an incredible amount of fun in the car, and when you finish on the podium with champagne, you start to mull things over. 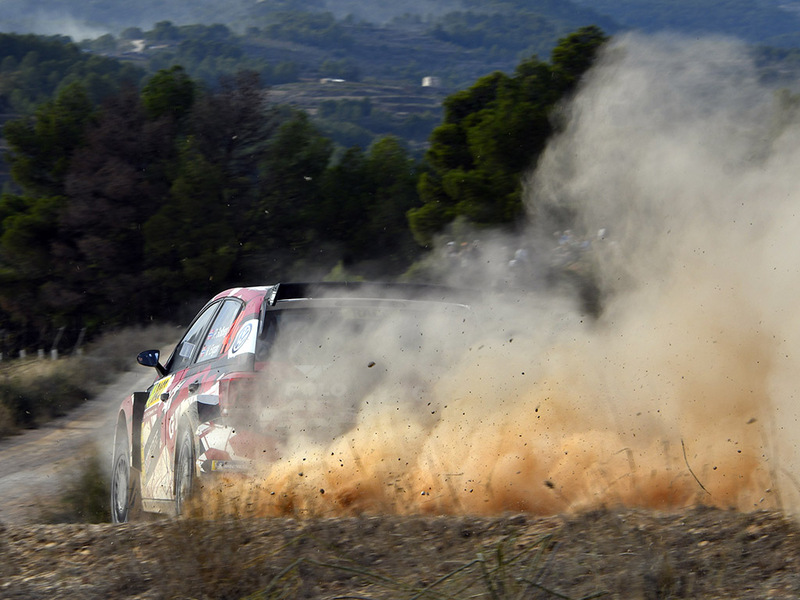 A quick word about Sébastien Loeb: it was simply fantastic what he did here. Congratulations on his exceptional win!’ he commented. 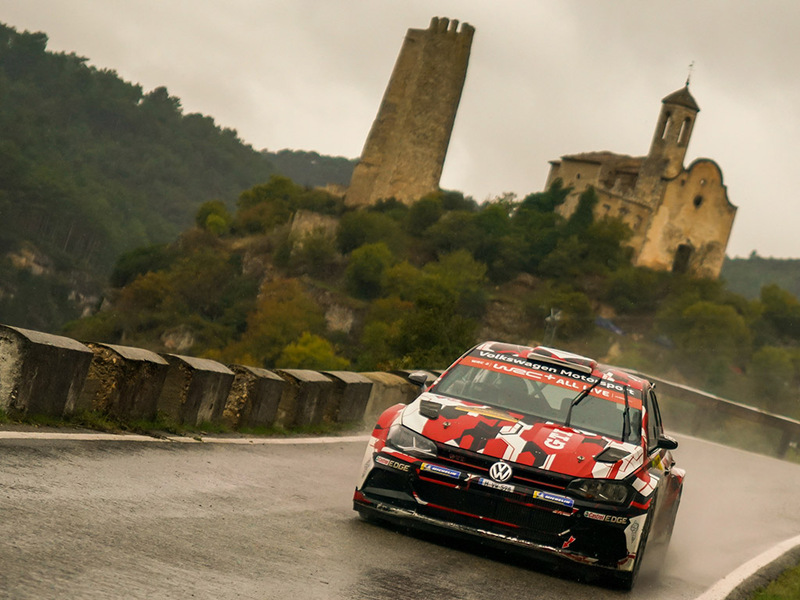 ‘Leading the first rally ahead of strong competition and winning special stages on different surfaces is a clear sign that the new Polo GTI R5 is extremely competitive. At the same time, we know that the car has even more potential,’ Smeets disclosed. 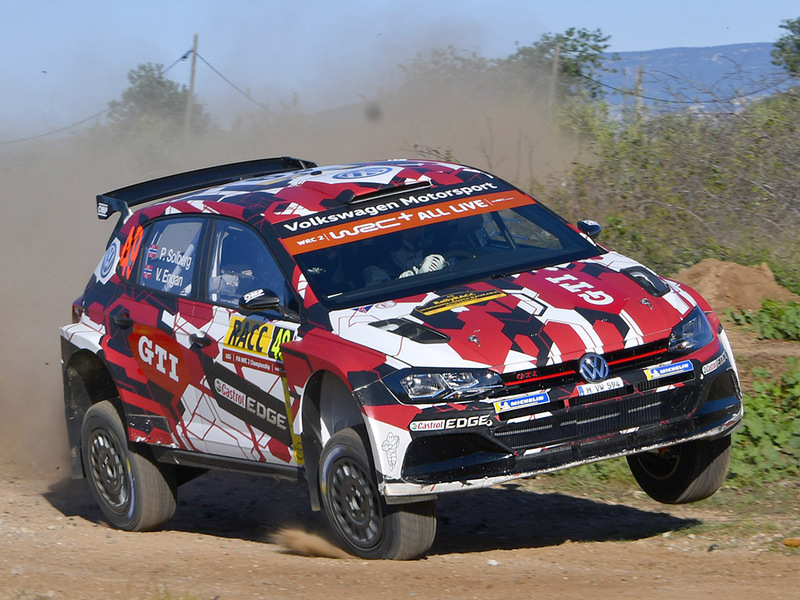 ‘The pace of the new Polo GTI R5 was good from the start,’ said Gerard-Jan de Jongh, Technical Project Lead for the Polo GTI R5. ‘Eric Camilli and Petter Solberg demonstrated that the car is competitive and fast in all conditions and with both drivers. 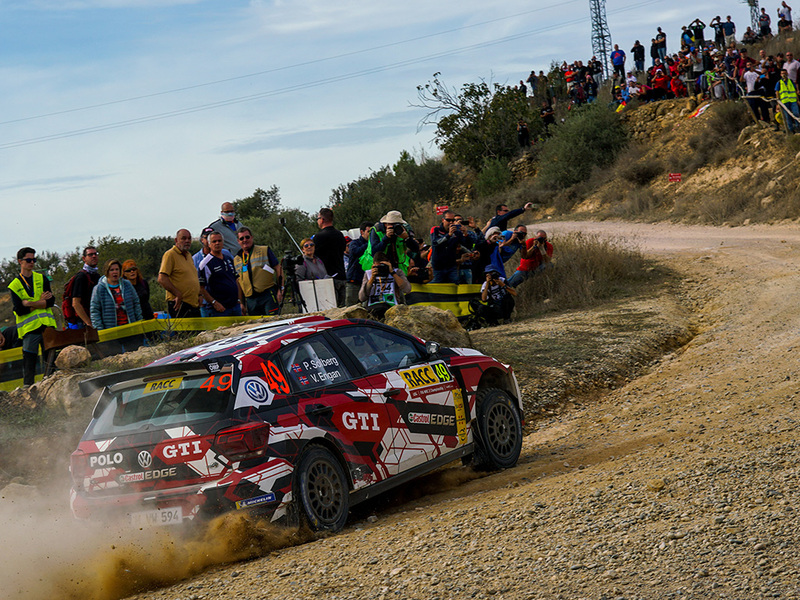 However, a competition like the Rally Spain is always different from testing – which is why a minor defect had a major impact. But the problem with the shift linkage is an easy one to solve and eliminate before the car is delivered to customers,’ de Jongh assured. Prospective Polo GTI R5 customers had the chance to view the car in the Rally Spain service park – especially during the transformation from gravel to tarmac spec which involved the switching of 1,025 parts in just 75 minutes – and there looks to be a number added to the 15 cars already sold. Due to be delivered by the end of the year, the first Polo GTI R5s are heading to teams in Austria, Belgium, Finland, Italy, Portugal, Paraguay and Sweden. 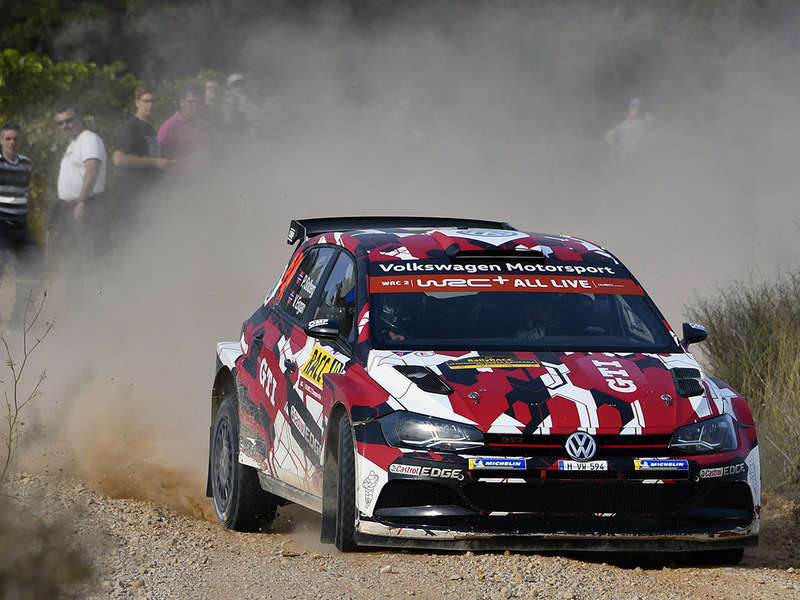 The cars are being made at Volkswagen Motorsport’s Hannover base and the Ikarusallee crew has a goal to produce 30 to 40 Polo GTI R5s in 2019. Volkswagen finally pulled the covers off the T-Cross, its widely-teased new Polo-based SUV in a triumvirate of locations today. Reveals were staged in Amsterdam, São Paulo and Shanghai, underlining how important the car is. The final member of Volkswagen’s SUV family, the T-Cross offers the tall driving position and versatility of a crossover, but in a near Polo-sized package. Taking elements from the T-Roc, the T-Cross is both taller and bluffer than the Polo, but carries through elements of the small car’s styling, such as the ‘Tornado’ line which runs along the side panels. Frontally, the new Volkswagen SUV styling is clear, while the rear features a new full-width light bar. A new departure for VW styling, it looks great, even if it does evoke similarities of the 1990s SEAT Ibiza and Cordoba in execution. But hey, that’s no bad thing! One of the new car’s key sales messages is individuality, and a wide range of design packs will be available for owners to personalise their T-Cross to their own tastes. A wheelbase of 2.56 metres – virtually identical to the sixth-generation Polo on which its based – pushes the wheels out to the corners. Inside, there’s between 385 and 455 litres of luggage space (a minimum of 34 litres more than the Polo) thanks to a sliding rear bench seat which moves fore and aft by 14cm. Total carrying volume with the rear seats folded flat is 1,281 litres, while total length is 4.11 metres: the Polo runs the rule at 4.05m. The cabin features the same high infotainment horizontal axis layout as the Polo. Volkswagen is bullish that the T-Cross will set new standards in the compact crossover / SUV class, especially when it comes to connectivity, economy, flexibility, practicality, style and versatility. No four-wheel drive model is planned, the front-wheel drive car sharing its platform with the MQB-based Polo. The Polo also donates its engines, too, the three petrol and single diesel units already seen in the small VW. The T-Cross range starts with a 1.0-litre three-cylinder turbocharged TSI engine developing 94bhp, moves through a 113bhp unit with the same capacity, rising to a four-cylinder 1.5 TSI with 147bhp, the same unit as seen in the seventh-generation Golf. A four-cylinder 1.6 TDI diesel will also be available with 94bhp. All comply with Euro 6 emission standards and the petrol units also feature particulate filters. Safety is a key T-Cross characteristic with standard equipment including numerous driver assistance systems, previously reserved for higher vehicle classes. Front assist area and pedestrian monitoring systems are fitted, along with a City Emergency Braking system, lane keeping and hill start assistants, as well as blind spot detection. Park, rear traffic and driver alert systems will also be available as will automatic adaptive cruise control. Inside, smartphones can be charged inductively, and with up to four USB ports, digital convenience is also a T-Cross selling point. Sales of the Polo-based crossover are expected to start in Spring 2019, with UK prices forecast to start at around £17,000 for the entry-level S model. While not confirmed, trim levels should echo other Volkswagen models, rising through SE and topping off with R-Line (an R-Line-bedecked T-Cross was premiered at the Amsterdam reveal). For more details and to stay informed with the latest news on the new Volkswagen T-Cross as it arrives in the UK, visit the dedicated page on the Volkswagen UK website. Building on the success from last year’s inaugural event, Volkswagen hosted its second ‘GTI Coming Home’ meeting at its Wolfsburg headquarters at the end of August. With cars littered around the nearby Volkswagen Arena and Autostadt visitor attraction, GTI fans from far and wide converged on Wolfsburg to celebrate all things sports VW. Neil Birkitt from Volkswagen Driver magazine was one of the few UK journalists at the event, and he sent us a selection of images detailing the Polos in attendance. Unsurprisingly, not only was the new Polo GTI a star attraction, with road-going and new GTI R5 rally versions on display, but a large number of Polo R WRC road cars also turned up. The 217bhp limited edition models from 2013 lined up alongside examples of the World Rally Championship-winning title car itself, and made quite a sight. As with last year’s debut meeting, one of the highlights of the GTI Coming Home event was the cavalcade of around 250 cars through the Wolfsburg plant itself, driving down Mittelstrasse to Südstrasse, passing the iconic Brand Tower – with it large and illuminated VW roundel – before ending at the Kraftwerk, the instantly-recognisable power station. The meeting also saw the covers pulled off the new Golf GTI TCR production car for the first time in Germany, while the all-electric, all-conquering I.D. Pikes Peak racing car was also on show. A gallery is featured below, but a full five-page report appears in the November 2018 issue of Volkswagen Driver magazine, on sale now. It also includes the second part of PoloDriver.com editor Rich Gooding’s Polo GTI retrospective, focusing on the 9N3 GTI 1.8T. For more pictures and information, head down to your local newsagent, visit the Volkswagen Driver website, or download the magazine digitally at pocketmags.com. 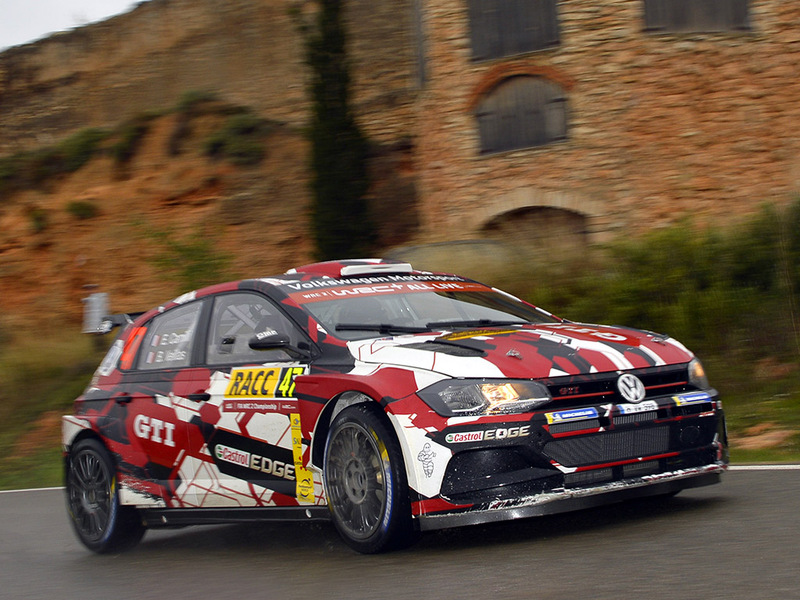 Twenty days before it makes its competitive debut on the Rally Spain, Volkswagen Motorsport has pulled the covers off the livery which will adorn the new Polo GTI R5. Borrowing a style seen on the Golf GTI TCR touring car – also a Volkswagen customer sports racer – the Polo GTI R5’s optical style incorporates many of the typical ‘GTI’ branding motifs, including a red, white and black colour scheme, as well as the now traditional ‘honeycomb’ elements. 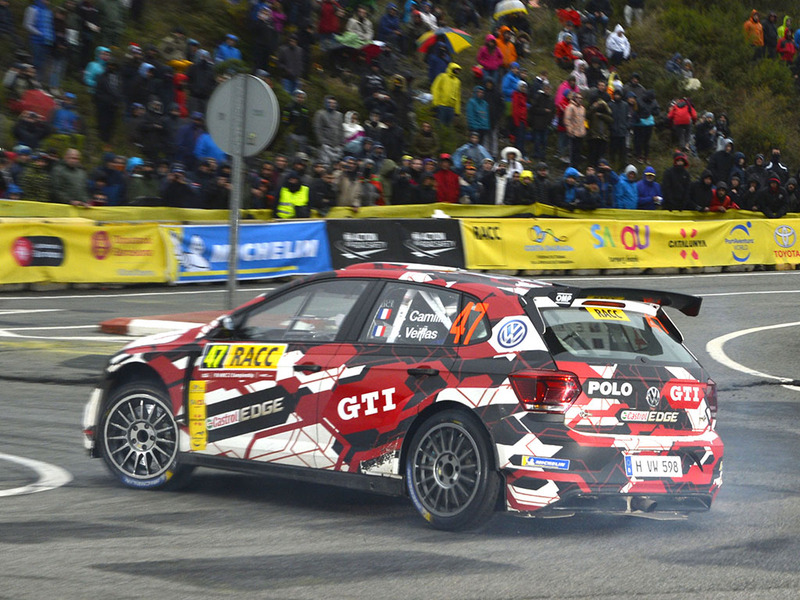 Typically, as is the standard in motorsport, the latest rally Polo’s striking look was applied as a film. 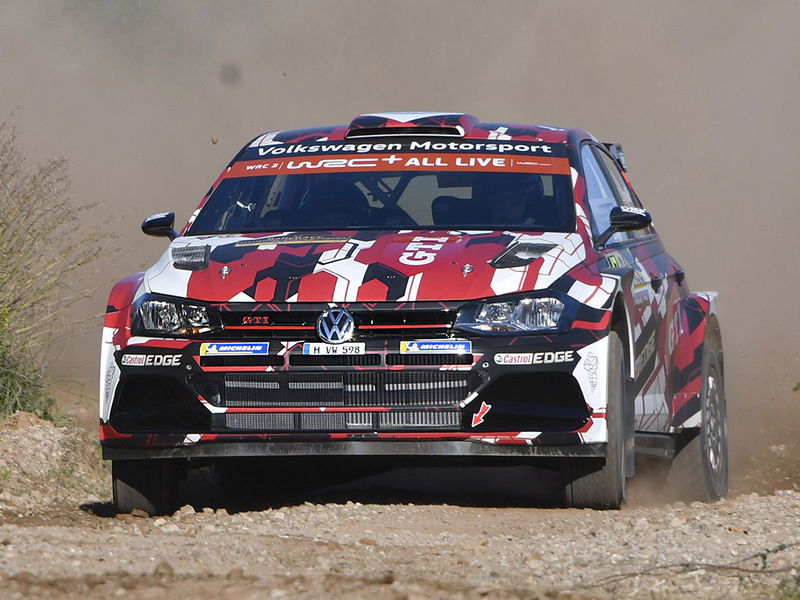 ‘The Polo GTI R5 looks really exciting,’ said Volkswagen Motorsport Director Sven Smeets. Nico Mühr, Exterior Design Volkswagen, commented: ‘We purposely used many of the design elements from the production vehicles of the GTI family for the Polo GTI R5. ‘In addition to the typical colours of red, white, black and the line on the front grille, it is the GTI icons with their honeycomb structure in particular that give the new rally Polo its distinctive look. 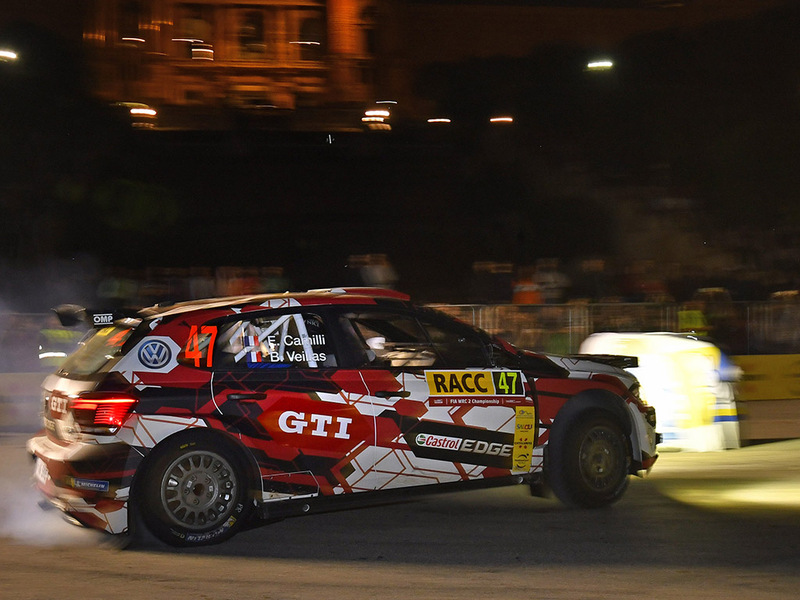 Ultimately, the Polo GTI R5, despite its extreme rally look, remains clearly identifiable as – no doubt the fastest – member of the Polo family,’ he stated. The first Polo GTI R5s will be delivered to their new customer team owners in November. What they will take delivery of is a 270bhp, four-wheel drive machine, which can accelerate from 0 to 62mph in 4.1 seconds. Powered by a 1.6-litre turbocharged direct injection engine, and weighing 1,230kg, the new stage-munching Polo has a 20-month development period behind it, which includes over 10,000 test kilometres in a range of climates. This thoroughness is due in part to the regulations. 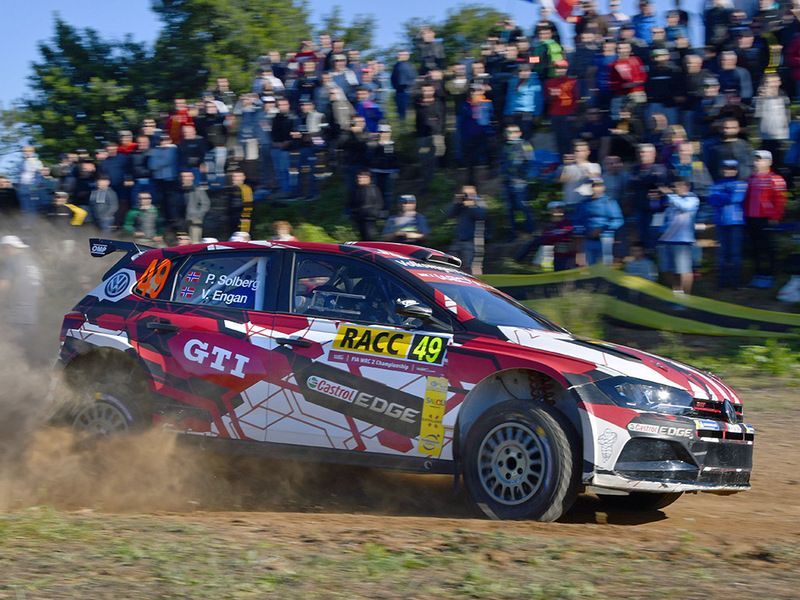 ‘Only minimal technical modifications are allowed to be made to an R5 during the specified motorsport lifetime of five years,’ explained Gerard Jan de Jongh, Technical Project Lead Polo GTI R5. 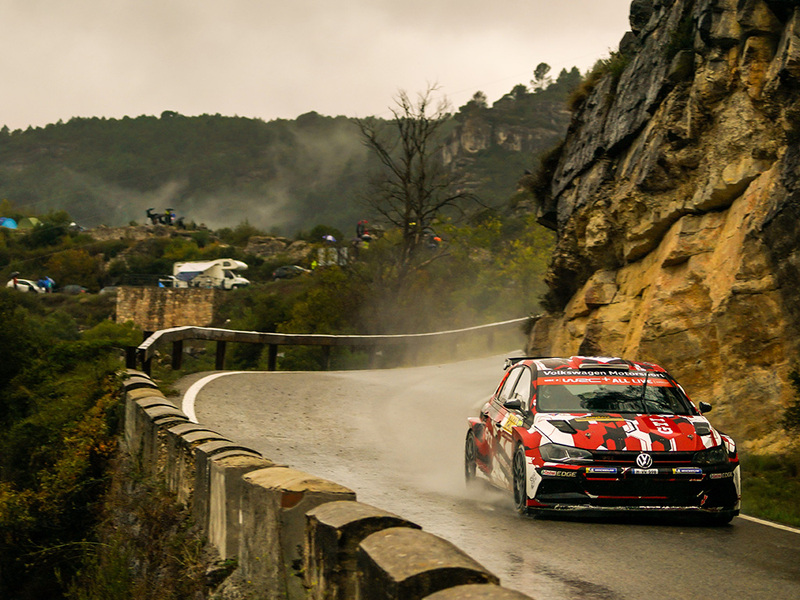 ‘This is why we prepared ourselves as well and thoroughly as possible.’ Rally aces Eric Camilli and Petter Solberg have been confirmed as the drivers that will pilot the Polo GTI R5 on its Rally Spain debut, which starts on 25 October.